In programming, the solution to a problem is first elucidated in the form of the algorithm which contains sequential steps for the solution. For the programmer convenience, the two forms are evolved to express the algorithm that is Flowchart and Pseudocode. 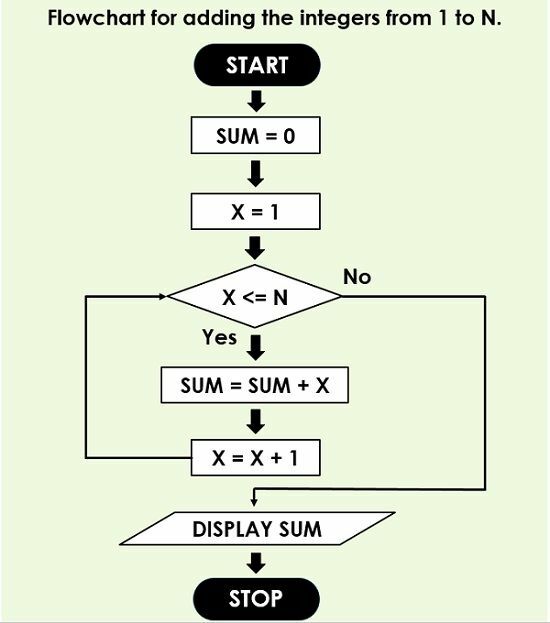 A flowchart is constructed with the help of various symbols and provides more understandability to the algorithm. The algorithm and flowchart are the two sides of the same coin and dependent terms. Creating an algorithm is a very crucial step in the programming, as it decides the efficiency of the program. Includes sequence of steps which depicts the procedure of the solution. An information diagram made up of different shapes shows the data flow. Implements No rules are employed. Predefined rules are implemented. Problem-solving in terms of computers, what does it mean? We know that a computer can solve any computational problem, but how does it work? Before solving a problem one should always know what to do and how to do it, and what types of steps should be carried out etcetera. Therefore, an algorithm is the series of steps that must be executed to solve a problem. Similarly in programming, while writing a program, an algorithm must be followed. In a simple way, a program consists of the set of instructions that generates the desired output of the given input. To make the program work properly the algorithm must be properly designed. The design of the algorithm also ensures the effective utilization of the computing resources, for example, CPU time, RAM, etcetera. A kludgy algorithm can work well on a set of input but poorly on another set of inputs, which can also result in slowing down the system and crashing of the system. As we know that an algorithm takes some inputs, execute some finite number of steps and gives an output. So, the certain step involved in the algorithm must be executable. It must generate some result. After a specific period, it must cease to run. 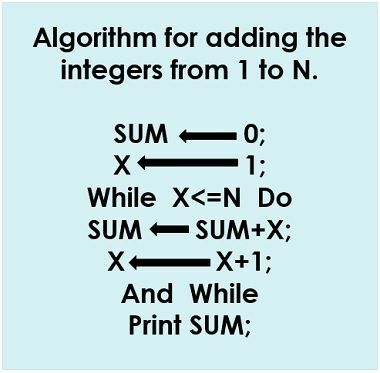 We have discussed the term algorithm in the previous definition. Now, what is a flowchart? It is nothing but a manner of representing an algorithm. It is also known as the flow diagram, which illustrates a process or a detailed series of steps needed to produce a specific output. A flow chart is comprised of the different symbols and control lines to connect those symbols. Each symbol specifies distinct functions. It is extremely useful in programming because it simplifies the complicated algorithm and converts it into the understandable pictorial representation. With the help of the flowchart, the application designer can easily segregate the different components of the process. It facilitates the analysation by providing the step-by-step process of the problem. The symbols used in the flowchart are described below. Lozenges/Rounded rectangle: Show the starting and ending point of the process. Rectangle: Illustrates a processing step. Diamond: Renders the decision point generally in the form of Yes/No or True/False. Control flow lines: Describes the flow and control of the data. Parallelogram: Represents the Inputs given to the process or an Output generated by the process. An algorithm involves a combination of sequential steps to interpret the logic of the solution. In contrast, a flowchart is the pictorial illustration of the algorithm. A flow chart is more understandable as compared to the algorithm. The algorithm is written in a language that can be perceived by humans. On the other hand, the flowchart is made up using different shapes and symbols. There are no stringent rules are implemented in the algorithms while the flowchart is abode by predefined rules. Errors and bugs are easily detected in the algorithm as compared to the flow charts. Flow charts are simple to create. On the contrary, the construction of the algorithm is complex. It identifies the solution process, decision points and variables required to solve the problem. It helps in dividing a huge problem into smaller manageable steps of the solution. The analysis and specification of the process lead to the efficiency. Separation of the steps divides labour and development expertise. The flowchart is a good way of conveying the logic of the system. Facilitates the analysis of the problem. Easy identification of the errors and bugs. It directs the program development. Maintenance of the program becomes easy. At a specific point, the algorithm terminates. Inability to solve problems that generate non-computational results. The complex logic could result in the complex flow chart. A flowchart must be recreated to employ modification and alterations. An algorithm is a group of instructions that are followed in order to solve the problem. 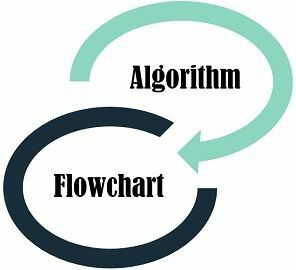 On the other hand, the flowchart is a method of expressing an algorithm, in simple words, it is the diagrammatic representation of the algorithm.